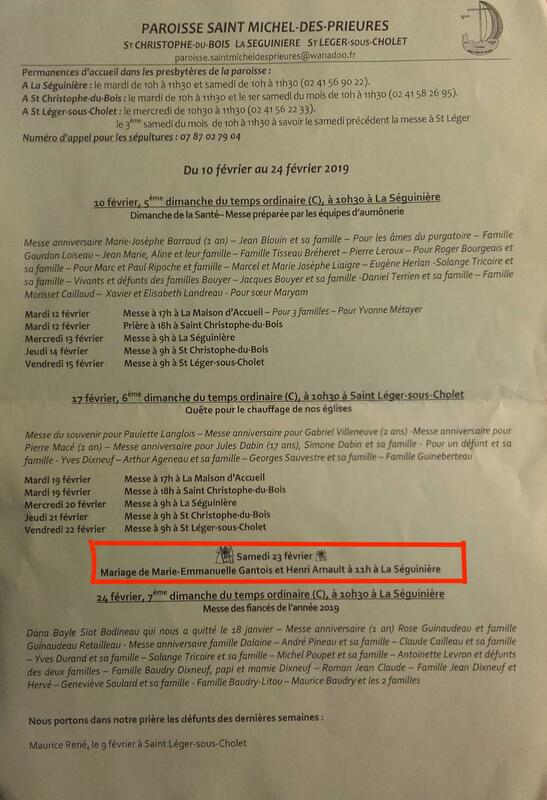 Reports from France are that a priest of the Capuchins either will, or has, married an SSPX couple with the delegation for marriage having been granted by the local diocese. That a Capuchin of Morgon would consent to obtaining such delegation certainly implies the permission (or command) of Fr. Antoine (Father Guardian of the Capuchins). The preposterous example of a heretic priest performing weddings for once/semi-traditional Catholics indicates that not only have the Capuchins placed themselves under indirect diocesan control (at least with respect to this sacrament, and what now with regard to confessions and extreme unction? ), but that by this example they are leading their faithful in the direction of unconverted Rome. Their weakness and indecisiveness now makes them undependable (to say the least), and those who have remained faithful must now consider their posture vis-a-vis these Capuchins. If the Resistance faithful have red-lighted SSPX weddings, does it stand to reason they must now also red-light Capuchin weddings? Minimally, we must answer in the affirmative, at least with regard to any such weddings in which diocesan delegation has been obtained, and these Capuchins must now be viewed with the heightened suspicion which their compromise and vacillations have earned them. Oh Lord, when will you come and assist us ? Here's the sad reality. If you want 100% true, pre-Vat. 2, except for a few widely scattered Mass centers in homes, motels, and VFW halls, you're on your own. Practice the Faith as best you can wherever you are, in whatever situation you find yourself. For me this means praying the Rosary silently in the train on the way to and from work, and slipping into the restroom on Sundays to read the Missal. Sometimes I catch a decent sermon on YouTube. I'm surrounded by irreligious, pagans, and the sacrilegious.